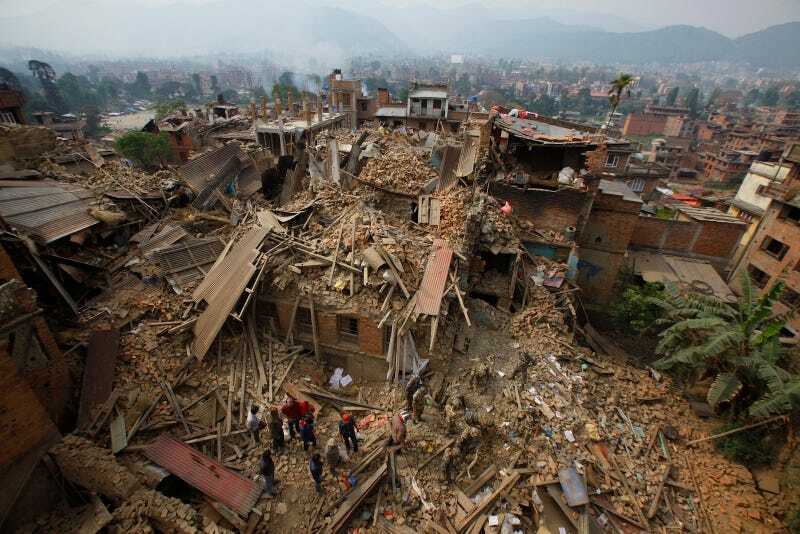 Tragedy struck the world when a 7.8 magnitude earthquake hit Kathmandu, Nepal earlier this morning. Over a 1000 people have died in the disaster that turned buildings into rubble and leveled the city’s 200-foot tall Dharahara Tower to the ground. The quake was so strong it caused an avalanche on Mount Everest and was felt in India, Tibet, and Bangladesh. Update Sunday, April 26th: New estimates have put the death toll at over 2,400 people with 5,900 people injured from the quake and its aftershocks. LIFE IN PHOTOS is a series on Sploid that showcases our world as we know it. If you are a photographer with ideas, please drop me a line here.